Update: The first international trailer has arrived, and it’s much better than the U.S. one! 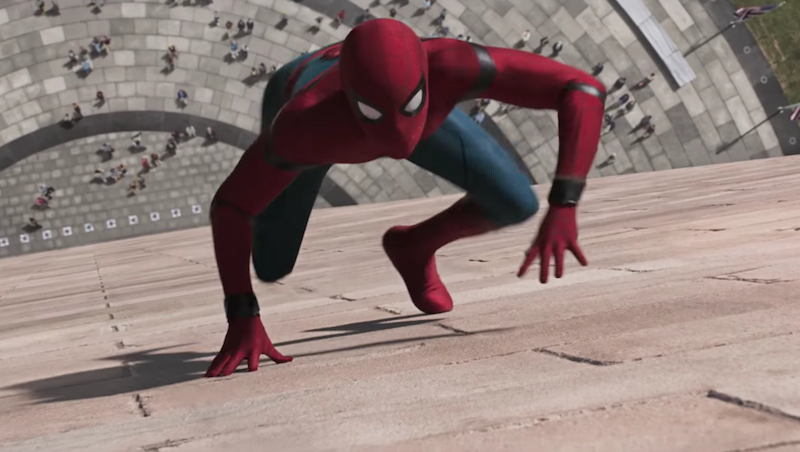 There’s a lot less high school and a lot more Spider-Man in there, plus more villains (including the Shocker), more action, better music—it’s actually got a lot of the same footage, but it’s edited in such a way to make Homecoming look like a much more exciting movie. Look, watch them both, and you’ll see what I mean. Well, guest-starring Tony Stark more than Iron Man, I guess, but Marvel Studios really doesn’t want people to suddenly forget Spidey’s part of their Cinematic Universe. Hmm. I love Tom Holland’s Peter Parker and his Spidey wisecracks, but this whole thing feels young. Like, really young. Maybe too young? I think it’s the “I’m sick of adults treating me like a kid just because I’m a kid!” shtick that bugs me. Tony Stark literally called him to fight Captain America’s posse in Civil War. If Tony has suddenly gotten all parental and concerned about Peter, it’s going to be annoying. Of course, he also looks like the Green Goblin and the Green Goblin’s glider had a baby, which probably helps. Overall, the trailer didn’t knock my socks off, but neither did it set my Spidey-sense tingling. But Marvel and Sony have plenty of time to try to knock socks off people between now and July 7.